Maybe it's the lingering effects of mid-90s forest parties or just the wantonly naive optimism upon which Crafty Towers is built (which are probably one and the same thing), but there's a growing sense that a Third Summer of Love could be nigh. It's several years overdue, after all, and the pieces are in place. On the one hand, the planet's in a terrible state, however you look at it, and most of those in a position to do anything significant about it are working actively to make things worse. On the other, buoyed by ideas of community, collectiveness and locally-focused production, there’s growing interest at a grass roots level in alternative cultures and lifestyle, while many of the totems of psychedelia are making themselves increasingly apparent again in music, art and elsewhere. Heck, there's even a beer website putting messages of love in hippy lettering on t-shirts and now a trophy-winning brewery releasing a cosmic IPA. Yes, fresh from picking up two trophies for hoppy beers, Modus Operandi has another for your drinking pleasure. Sonic Prayer is a tribute to brewer Dennis' favourite band, American psychedelic rockers Earthless, whose first album bore the same name. It's described as "a psychedelic conglomeration of the holiest of ingredients", which in earthly terms means "a skeleton" of English and German malts into which "life was then breathed [by] ungodly amounts of American and Kiwi hops". Following fermentation "the humulus heavens opened up and rained down upon her a torrent of American and Australian hops" too. As a result, the drinker can "expect mind altering, reverberating, aromas of citrus, peach, passionfruit, stone fruit and pine followed by an unstinting malt body and bitterness." Peace out, brothers and sisters. 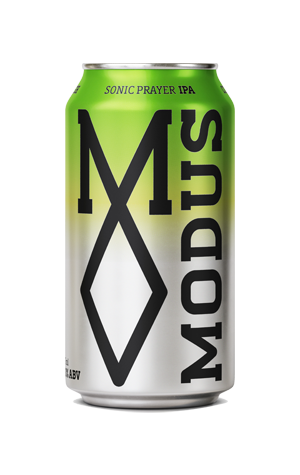 UPDATE: Sonic Prayer has proved so popular it's now part of the brewery's year round range.